Lower Elementary students are settling into their classroom schedule. The children seem to be settling in quite nicely to their daily routines and working diligently. It has been exciting to see them begin to evolve as a community. In the beginning of the year, there was a lot of emphasis on how we work together as a community and creating a peaceful classroom. What a joy to see so many new friendships forming and mentorships happening with everyone. 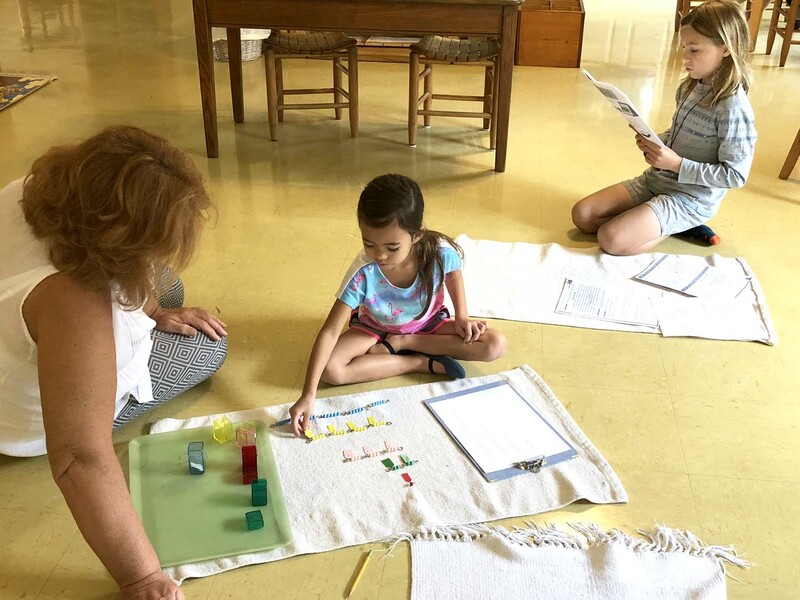 Besides community building, the children have been enjoying lessons on the states of matter, the birth of the stars, the solar system, phases of the moon, and the composition of the earth. We soon will begin our studies of volcanoes, the continent of North America, and biomes of the world. Parent/Teacher conferences will begin Oct. 22 and run through Nov. 2. Signup sheets will be available at drop off and pick up. I will allocate 20 minutes for each conference. If you feel you will need more time, please sign up for two slots or email me so that we can schedule a different time. If none of the times listed work for you, email me so that we can work together to schedule a time that will work. 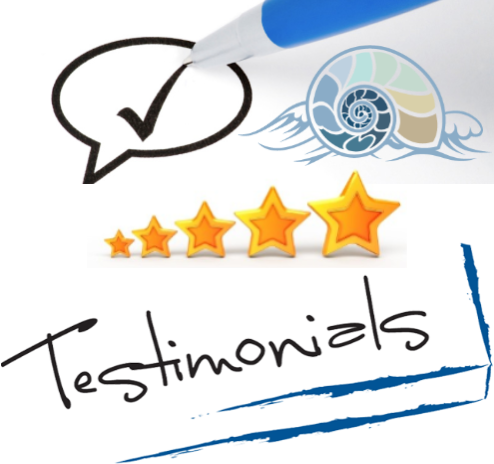 Conferences are not mandatory, but we do prefer to have one, especially if this is your child’s first year. 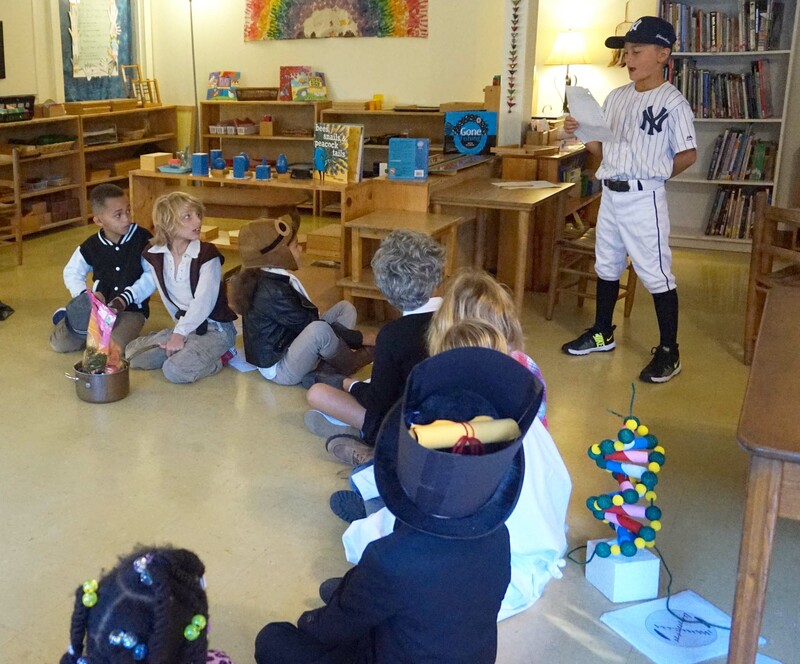 An Upper Elementary student tells the Lower Elementary class about his choice for Historical Halloween during last year’s presentations. Historical Halloween will be celebrated Wednesday, Oct. 31. All parents are invited to our morning group meeting at 8:15. The students will present at that time. We will begin promptly at 8:15. We make time after the presentations to take group photos. It’s a lot of fun! 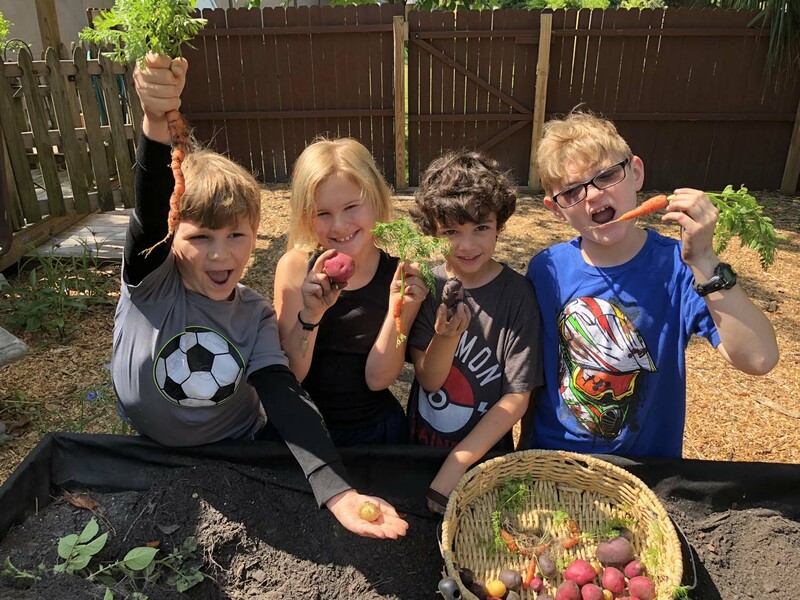 The Lower Elementary students enjoy harvesting – and eating — what they grow. Last year, the students harvested potatoes and carrots. We also would like some pentas and passion flower. In addition to Historical Halloween, we will have a couple of other assignments this month. We will send home information soon. We also will celebrate Dia de los Muertos (Day of the Dead) on Friday, Nov. 2. Look for information on this assignment to come home Friday, Oct. 26. As always, thank you for your support with these projects. ** Field trip forms will go out for chaperone opportunities for out-of-school field trips.